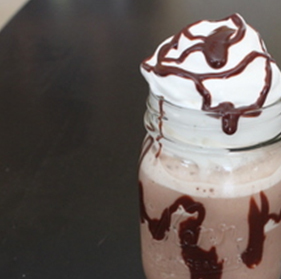 Making a blended iced mocha at home is easier than you may think. And with the result being such a delicious and refreshing treat, why not give it a try? 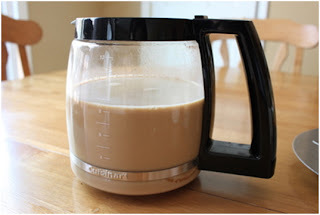 For this recipe, you will need frozen coffee ice cubes, so if you are planning to make this for a specific time, be sure to start the night before to allow time for freezing the coffee. 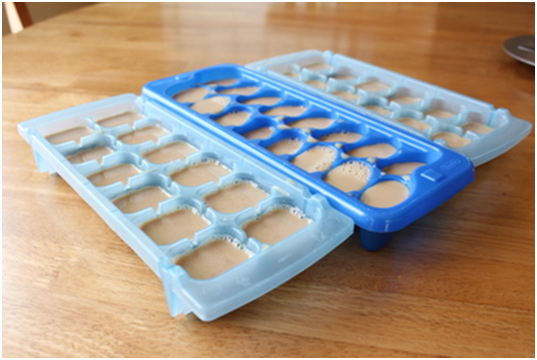 First make sweetened coffee ice cubes. Brew a large pot of strong coffee. Add a 14oz can of sweetened condensed milk and stir until well blended. Pour the mixture into ice cube trays (I needed 3 trays). Freeze overnight. Set an ice cube tray on the counter for about 10 minutes. One tray makes about 2 servings. It’s helpful to lay some plastic wrap on the counter to invert the coffee cubes on. 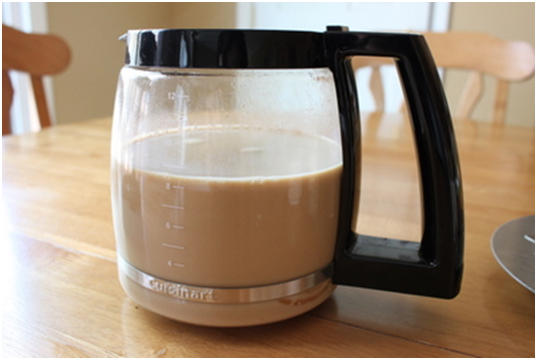 Put all the coffee cubes in the blender, add about 1 cup crushed ice, 1 cup milk and 2 tablespoons chocolate syrup. Blend to combine, adding more milk if needed to liquefy. Taste it, and add more chocolate if you wish. Pour into glasses, and top with whipped cream and chocolate syrup. For a variation, leave out the chocolate and add your favorite coffee syrup or caramel.